Urbana, Illinois, 10-16-17 – NCTE honors Joan Bertin of New York City with the 2017 NCTE National Intellectual Freedom Award for her courage in advancing the cause of intellectual freedom. She will receive the award at the NCTE Annual Convention in St. Louis, Missouri, in November. During her recent 20 years as Executive Director of the National Coalition Against Censorship, Bertin tirelessly advocated on behalf of public school teachers facing censorship battles in communities throughout the United States. Bertin’s legal expertise about the First Amendment is undebatable. She has commented in front of the US House Judiciary Committee, has coauthored multiple book chapters and scholarly journal articles, and has contributed to many court briefs. She has argued against internet filters and in support of a student’s freedom of expression within the school, and she has stood beside teachers making difficult curriculum choices within communities where they are ostracized for choosing controversial texts. Bertin’s ability to understand complex legal situations and find reasonable solutions has made her a tremendous advocate for today’s English teachers. NCTE has enjoyed and benefited from working with Joan on many censorship cases and in some very difficult circumstances. She would mediate these contentious situations with compassion and a mindful adherence to what is best for the student reader. Her dedication to protecting the First Amendment, the rights of teachers and students, and the English classroom has been tireless. 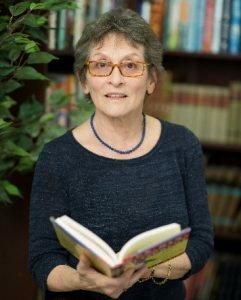 NCTE is most pleased to award Joan Bertin the 2017 NCTE National Intellectual Freedom Award. Honorable Mentions for the 2017 NCTE National Intellectual Freedom Awards go to Christina Berchini of the University of Wisconsin in Eau Claire, and SAGA 6, a group of six students from Mount Horeb High School, Wisconsin, and their school and community advisors.